Embassies and cities and provinces recognized for their sterling efforts in FDI activities over the last 30 years. The Vietnam Economic Times Group congratulated embassies in Vietnam and cities and provinces from around the country leading in foreign direct investment (FDI) over the last 30 years at a Gala Dinner celebrating the 30th anniversary of FDI in Vietnam and the Golden Dragon Awards and Vietnamese Excellent Brand Awards on April 13. 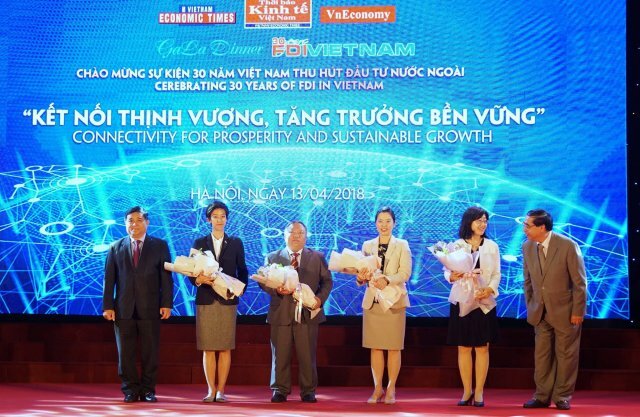 Vietnam Economic Times, the organizer of both awards, presented the embassies of the countries and territories with the largest amounts of FDI in Vietnam and the cities and provinces receiving the most FDI over the last 30 years. 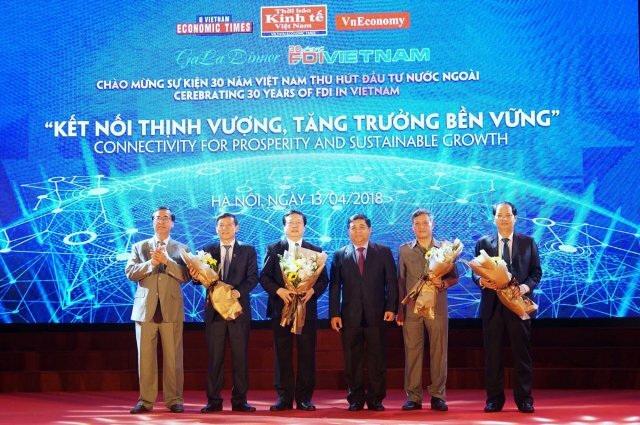 With the theme “Connectivity for Prosperity and Sustainable Growth”, the program was honored by the attendance of Minister of Planning and Investment Nguyen Chi Dung. Embassies & authorities from cities and provinces congratulated by VET.